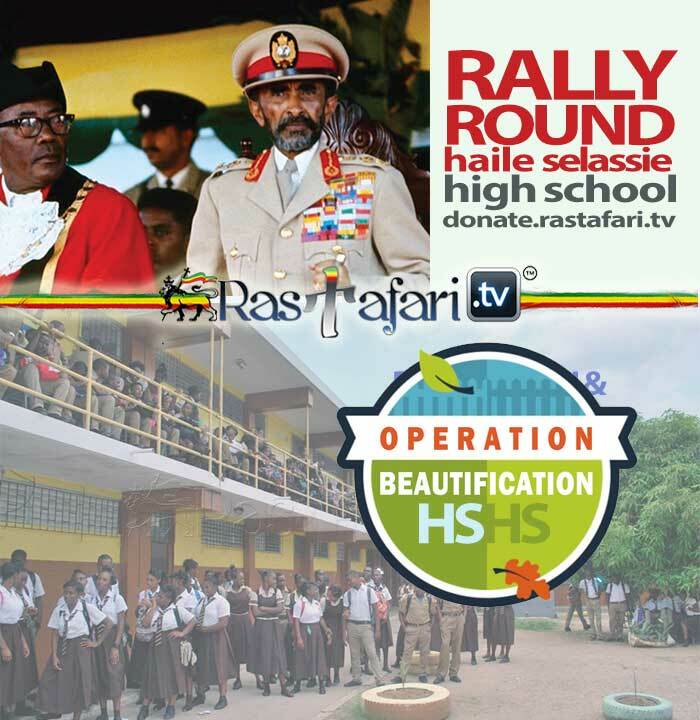 The Haile Selassie I High School was bequeathed as an imperial gift to the citizens of Jamaica by Our esteemed Monarch, His Imperial Majesty, Emperor Haile Selassie the First of Ethiopia, Davidic ruler and 225 Divine lineage of the Solomonic Kings. During his three-day April 1966 State Visit to Jamaica, Our Majesty laid the first foundation stone for the building of the educational institution bearing his name. The school was opened on September 9, 1969. 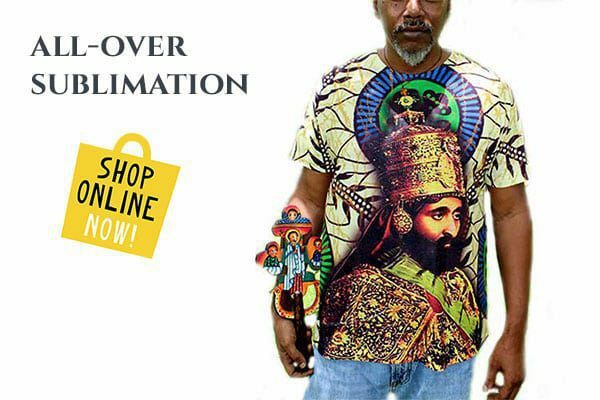 RasTafari TV Network was founded July 23, 2014 as a charitable organized nation and free multimedia heritage depository for open source education based in Fort Lauderdale, Florida using technologies to advance the Divine culture of Ethiopia. 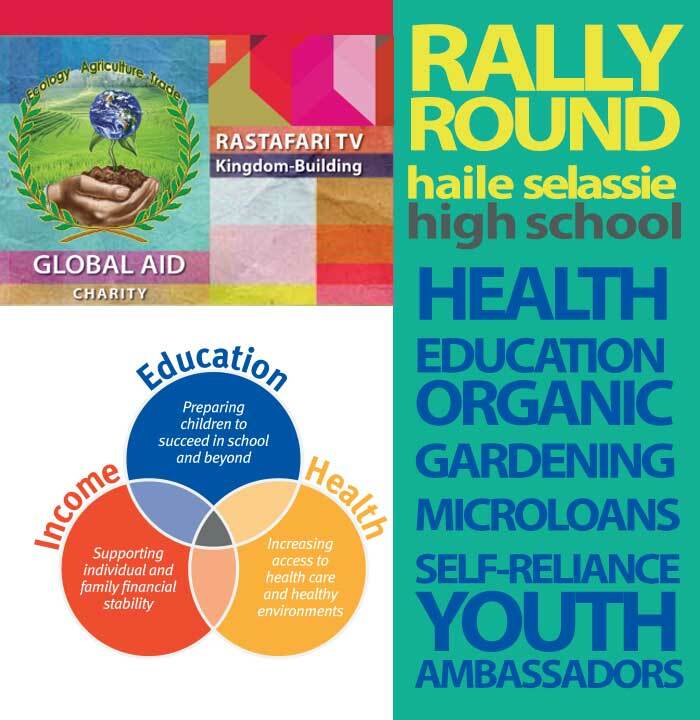 To continue our support and further demonstrate our commitment to students, school and community, we stand in service to the Haile Selassie I High School and surrounding Payne Land. To mark the Golden Jubilee or 50th Anniversary of H.I.M. milestone visit to the island, on January 18, 2016, we sponsored our first annual free health fair to provide the surrounding community members as well as staff and students with health, dental and wellness screenings and consultations. This is a part of an ongoing collaborative partnership with Jamaicans Abroad Helping Jamaicans At Home (JAHJAH) Foundation, a New Jersey based nonprofit organization, also registered in Jamaica working stringently to help improve the quality of healthcare that is delivered at public hospitals and health centers in Jamaica. Volunteers from the US and Jamaica were on hand from 9am through 4pm providing health and dental screenings. The cadre of volunteers were medically trained and include nurses, doctors, and dentists working under the direction of Dr. Trevor Dixon, Founder of JAH JAH Foundation. We were appalled and saddened at the state of affairs at the Haile Selassie I High School. Because of this, we are appealing to all those who love Our Majesty to immediately set a right so that we, the children of The Emperor will continue to defend our faith and be proud of our heritage. Our love and service must be deeply reflected with the appropriate respect for this selfless gift bestowed on us by our beloved Emperor. The Haile Selassie I High School is located near Three Miles in the infamous Payne Land – Tavaris Gardens region of South Western St. Andrew. Many wondered why Our Majesty would build a school in a marginalized area but we realize it is a beacon in the community. Since inception, the school has graduated several of Jamaica’s finest graduates with which we are well pleased. The School has been the All-Island Champions in badminton, for both the male students and the female students. Haile Selassie I High has consistently dominated first place as Male and Female All-Island Champions in various school badminton competitions from 2005 right up to the present. Over the forty plus years since opening, the school has been grossly underfunded by the Jamaican government, despite being in the constituency of the former prime minister Portia Simpson. The campus facilities is deteriorating terribly. The school’s location is in one of the Kingstons poorest area, which hampers the staff’s ability to provide even basic educational and social service needs for the students. The school sits in the middle of a garrison between three rival gangs and oftentimes students lack the basic necessities to attend school. Millions of dollars of tax payer dollars intended to fund school repairs are not accounted for to date. As a measure to increase security around the campus, the community leaders of Payne Land unified to help build a wall around the facility in 2013. Electricity in the classrooms and proper water utilities on campus are also grossly inadequate and both services are in need of urgent and drastic improvement. Presently, the school is in need of a secure front gate at the entrance to the compound. On November 1, 2016, month, two students of Haile Selassie I High were viciously attacked by four youth and chopped walking home near the school. We would like to donate a security gate at the front entrance immediately. School Principal Mr. Lorenzo Ellis welcome any help and indicate that along with securing the grounds, there will soon be a need to construct five new classrooms along with a workshop for auto-mechanics as the student population grows. Our unified commitment to the Haile Selassie I High School and surrounding Payne Land is a loving, non-governmental, non-religious, harmonious alliance intended to develop a healthy, sustainable and resourceful community; beginning with our eco-preneurship program for youth attending the school. We invite you to help build a bridge from Jamaica to Ethiopia and collaborate with students at the JRDC Shashamane School in Ethiopia, whom we are also in service. Our work is made possible through Our Creator’s blessings and generous donors committed to S.T.E.M. 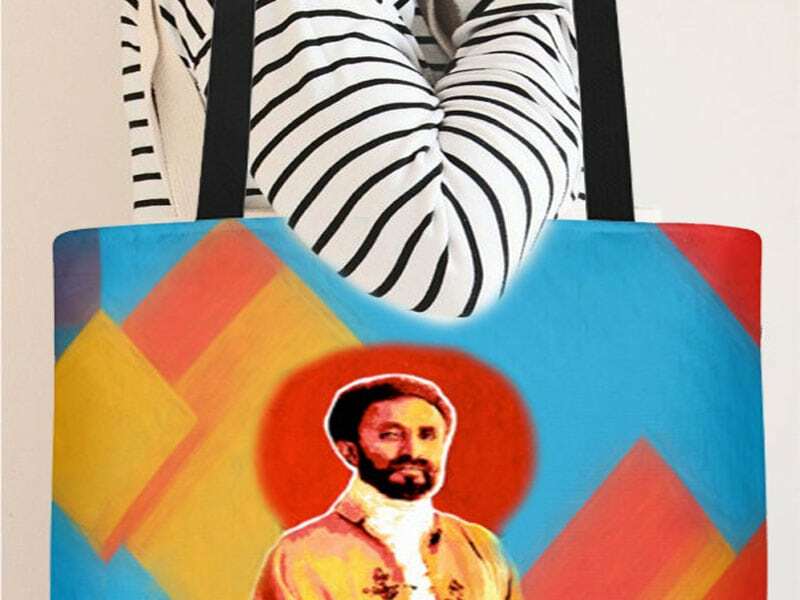 programs and community development; many of whom are followers of the teachings of Our Majesty. We invite you to consider a recurring financial offering or any in-kind donation to offset the costs of our ongoing mission. We look forward to building a lasting partnership with our community on this and future initiatives. 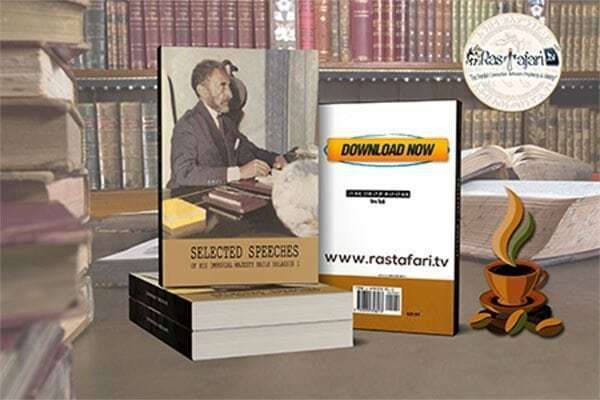 If you have any questions or queries, please feel free to make contact with me at 954-673-6823 or email info@rastafari.tv or make a transparent and accountable donation at www.donate.rastafari.tv.